Let this be known throughout the earth. 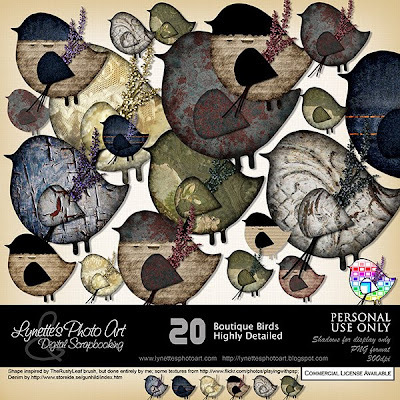 This is my Boutique Birds Kit. Click the image to enlarge. Click the Buy It Now Button below to purchase from my PayPal Store for only $2.99, and there's a freebie at the bottom of the page as always. I made this 2 page layout using my Boutique Birds & Luscious Jungle Kits. Template by The Paper Iris. I adapted the cards from Allie Brown Designs. 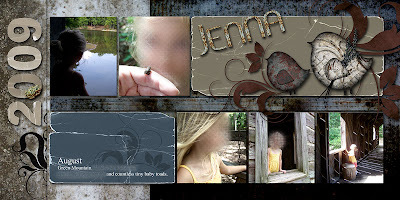 (You should visit her - fabulous free blog layouts and a very sweet Sister-In-Christ.) The swirls I adapted from SnappyScrappy. The left swirl is avictoria-web103-brush3. The rusty font is by Lilou. The year font is from SirScrapalot.